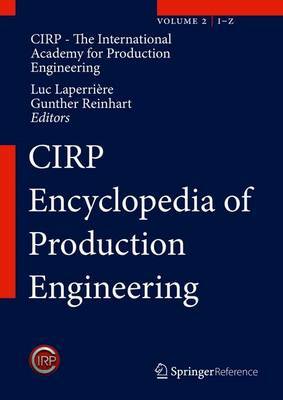 The CIRP Encyclopedia covers the state-of-art of advanced technologies, methods and models for production, production engineering and logistics. While the technological and operational aspects are in the focus, economical aspects are addressed too. The entries for a wide variety of terms were reviewed by the CIRP-Community, representing the highest standards in research. Thus, the content is not only evaluated internationally on a high scientific level but also reflects very recent developments.